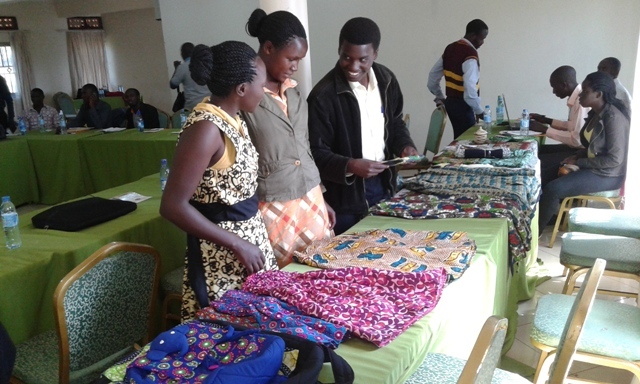 Our Crafts Section was chosen to participate in a training and networking programme run between 12th August and 6th November last year. This programme was part of the United Nations Development Programme and was facilitated by the Uganda Tourist Board and the United Nations World Tourism Organisation. Our Operations Manager, George Kakonge, and our Crafts Administration Manager, Cleophas Asiimwe, attended the course which took place all day on a Thursday at Cephas Inn, Kabale. A) Gaining Experience and knowledge sharing. C) Getting practical and workable ideas of improving and growing business. Identifying and developing business opportunities. Marketing and Networking for success. The training was run in an interactive style and everyone was involved in contributing ideas or skills that you may have. At one point I was chosen to talk about the importance of branding, I did some research and I presented it the participants. Many other entrepreneurs were invited to talk about some topics or testimonies on how their businesses have developed. In general the program was very good and inspiring. Personally I benefited and I got a new understanding of what the tourism industry is and its contribution to the economy of our society, country and the whole world in general. Good feedback George – Thank you. Here are George and Cleophas with their certificates!